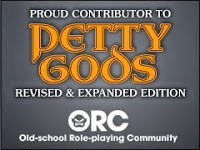 This week's Free GM Resource may be of questionable value to some of you, but that could probably be said for most of these posts. When painting miniatures, terrain, or pretty much anything else for my RPG table I tend to use cheap paint. Actually "cheap" isn't always the appropriate word. "Cost Effective" is much more appropriate. I will use bargain mis-matched house paint for terrain pieces, and I might use cheap paint as undercoating for projects, but I'm not a fan of using cheap house paint to actually paint my house. When painting miniatures I cannot see spending big bucks on special paint for miniatures when good craft paint can do just as well. 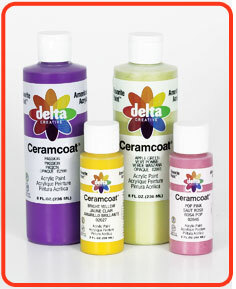 I have a huge selection of Delta Ceramcoat paints I use for minis. Many of my colors were purchased for under $1. I do think there is a difference between using these less expensive paints than the fancy-schmancy miniature paints, but I'm not a high-end "semi-professional" miniature painter. Using high-end paints will not give me a better result, just a lighter wallet. When learning to paint miniatures a wide variety of colors is probably more useful than a small handful of colors you have to learn to mix.....and then keeping consistent color mixes will be an issue. I favor the cheaper paints like the Delta Ceramcoat line. Highlight and Shading "chart". No need to guess which color is supposed to be a highlight or shade for the color you might be using, just look it up. No need to try and lighten or darken your current shade by hand. Color guide. Know what colors you need to get. I use this to keep track of the colors in my inventory. Conversion chart. If you end up finding a good deal on some other brands of craft paint you can use this chart to figure out what is the equivalent Delta Ceramcoat color. There are some other good bits of info on the Delta site, but these three are the highlights for me.